Sleaford Mods: Brexit word 'makes me shiver' Jump to media player The punk duo Sleaford Mods talk about Brexit, austerity and modern disillusionment with politics. Musical politics - from Stormzy to Astley Jump to media player How The Smiths, Julie Andrews, Stomzy and Rick Astley appear perhaps involuntarily, in political prose. Proclaimers: ‘Political music no more?' Jump to media player The band say "a bubble like internet" means there's less political writing in pop music. Huey Morgan on the chain of command Jump to media player Ex-marine Huey Morgan looked at the chain of command, as he reviewed his roles as part of a trio in the Fun Lovin' Criminals and now a front man in his own band. Is music losing its political message? 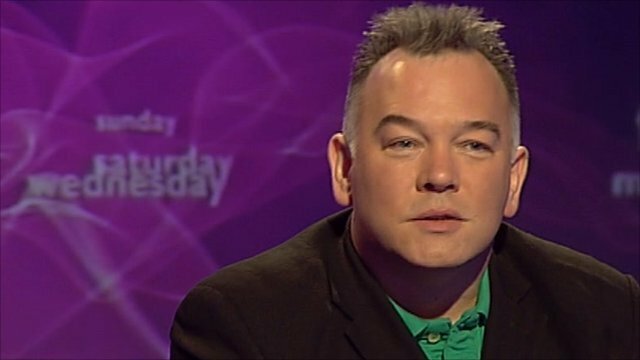 Jump to media player Comedian Stewart Lee compared Glastonbury to the House of Commons as he discussed whether music was losing its political message with Andrew Neil, Michael Portillo and Alan Johnson. The punk duo Sleaford Mods talk about Brexit, austerity and modern disillusionment with politics. The Nottingham-based band spoke to Politics Live reporter Elizabeth Glinka about mixing politics and music, and she challenged them to name a politician they like.